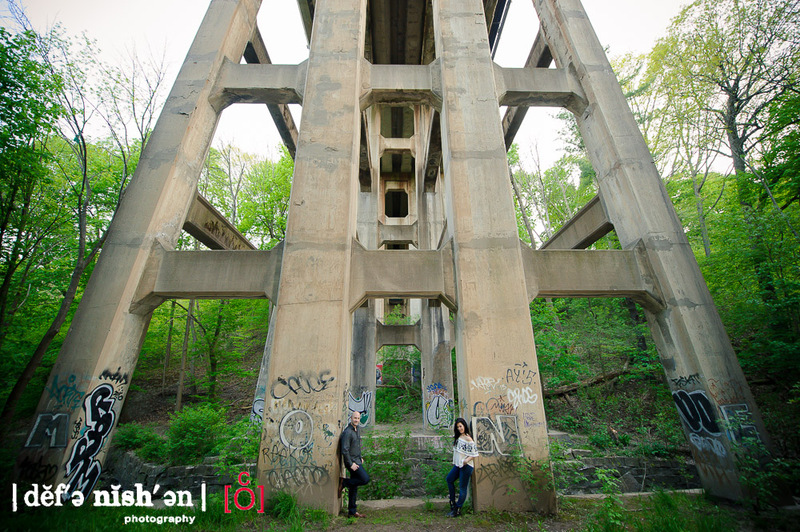 Natasha and Ryan are such a fun couple to be around that Sheena and I could have continued our engagement session with them for a few more hours as we wandered through the Beltline Trail - arguably, one of the most underrated park systems in Toronto. 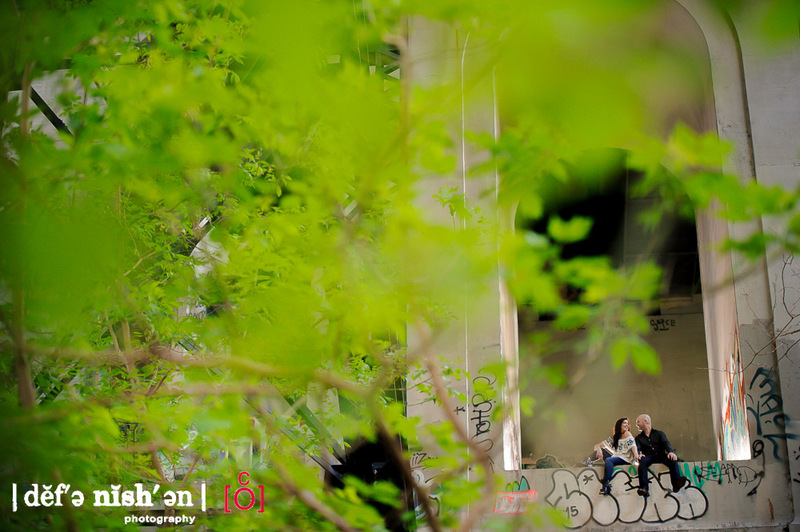 In previous years, we have photographed some engagement sessions and weddings around the area and trail, but we hadn't actually seen just how many amazing elements are hiding in this urban forest. We met Natasha and Ryan at the entrance to the path and they were so excited for the session that their enthusiasm started to rub off on us immediately. 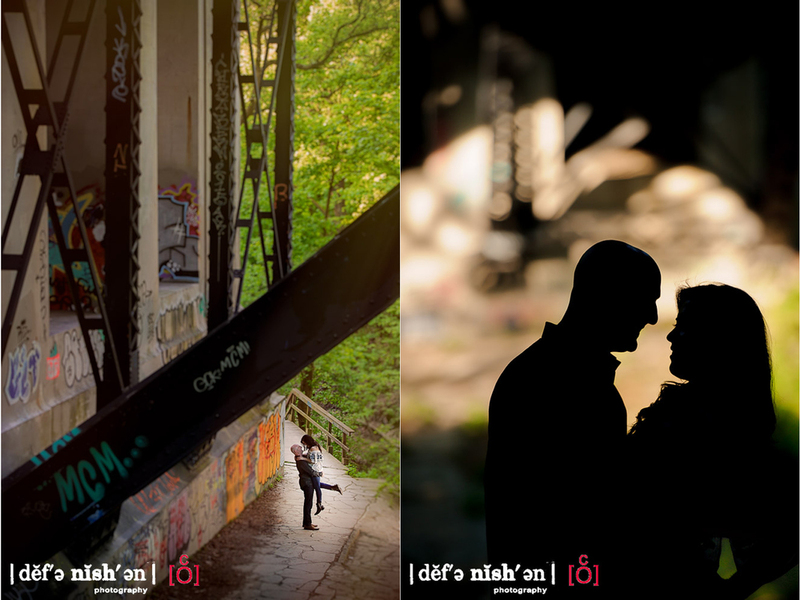 After posing for the first picture, I could see just how serious the couple was to nail their engagement pictures. 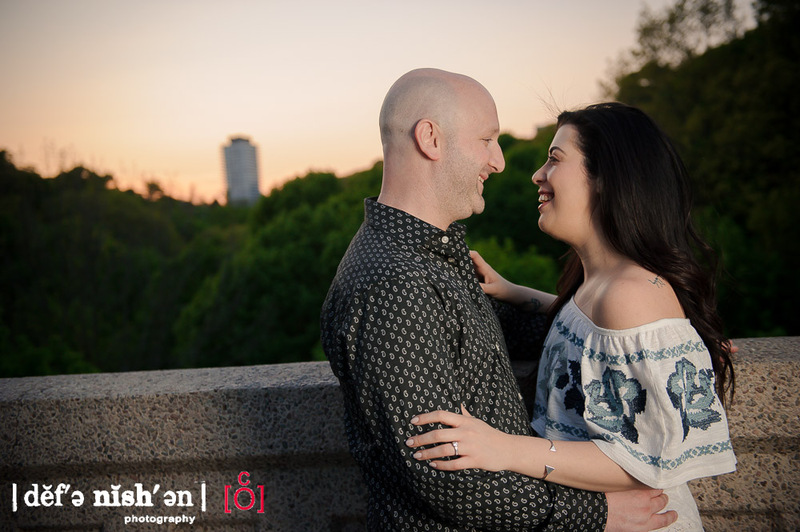 At the drop of a dime, Natasha and Ryan could passionately embrace each other, casually enjoy each other's company or pose like models on a fashion magazine cover which is not necessarily something that all couples find easy to do when we start an engagement session. 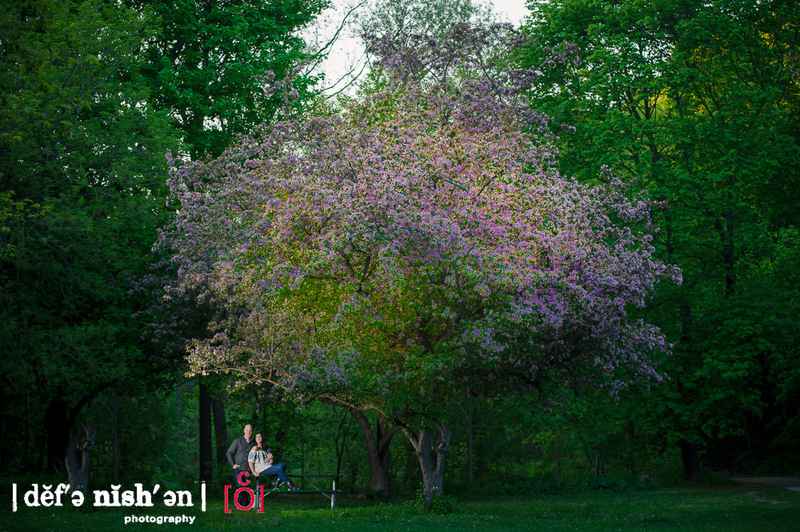 Living nearby, Natasha and Ryan know the park and trail well and even took the time to plan out specific locations to stop along the way that are meaningful to their growing relationship. It was so great to work together with a couple who brought a clear vision and list of ideas for their pictures that truly reflect their love and excitement to start a new life together. Be it climbing under a massive iron arch bridge and sitting at the very edge, stepping across loose rocks in the river with the possibility of falling in or holding a tight pose just long enough so that we could snap the perfect silhouette, Natasha and Ryan were exceptional in every way and the final images definitely demonstrate this. We cannot wait for their big day this August and are thrilled to have met such an awesome couple. Thanks for having us!